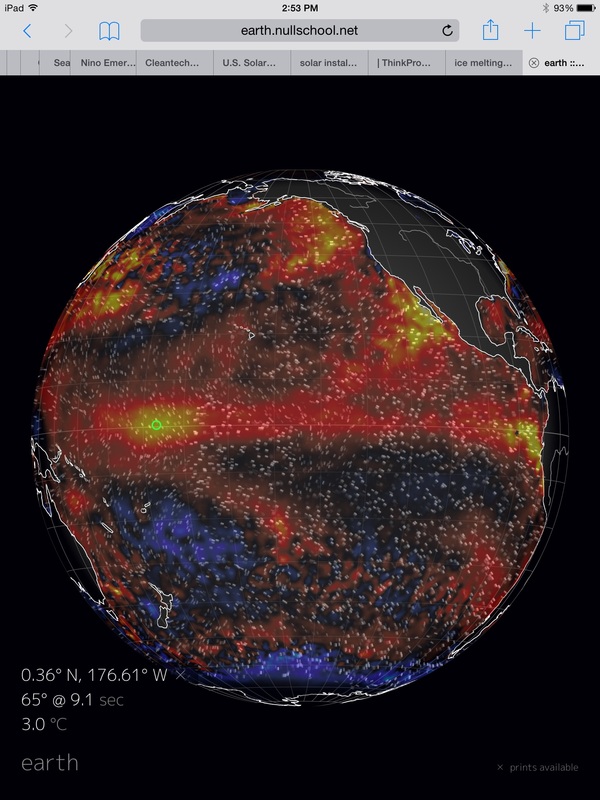 Last year, we raised a warning that the 2014-2015 El Nino could develop into a monster event. And, unfortunately, there is some indication that conditions may well be continuing in that direction. 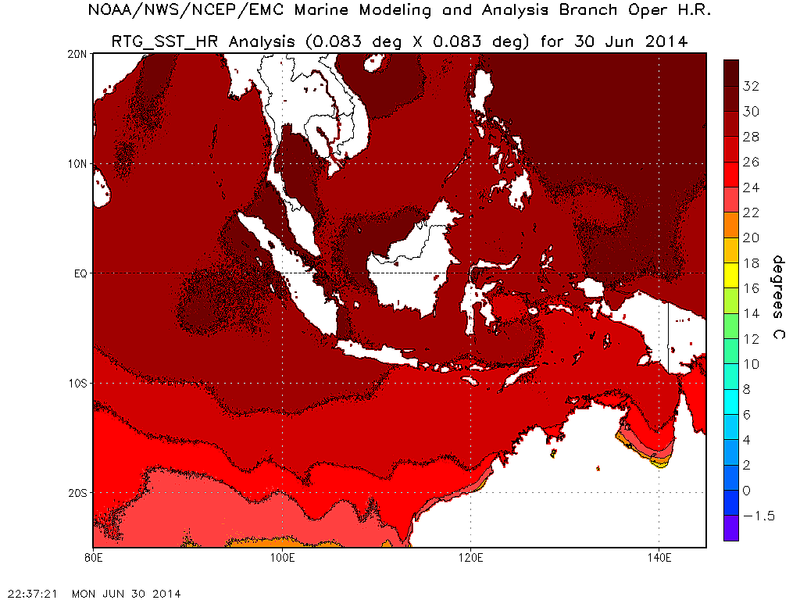 All across the broad belt of the Equatorial Pacific, sea surface temperatures are running in the hot-to-extraordinarily hot range. Starting just north and east of New Guinea, 1 C + above average temperature anomalies run uninterrupted to a zone near the date line where they encounter a hot pool in the range of +2.6 to +3.1 C above average. Running eastward, these high heat anomalies gradually taper off to +1.4 to +1.7 C along a 5,000 mile stretch before they again spike to +3 to +4 C above average just off the west coast of South America. 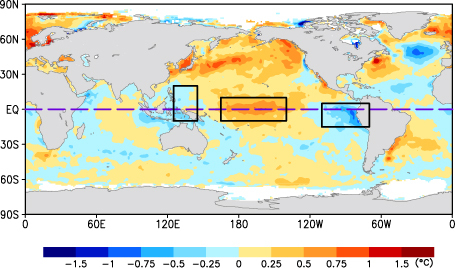 Hot equatorial waters in a Pacific Ocean that, from Arctic north to Austral south, from East Asian shores to the west coasts of the Americas is a morass of record high temperatures. An ocean zone featuring few and dwindling pools of lower than average readings. Oceans undergoing rising rates of heat-related sea creature die offs in waters that, when they warm, lose vital oxygen and host toxin-producing microbes that thrive in hot water. It’s a freakishly hot Pacific. A strange ocean. One that we aren’t quite accustomed to. 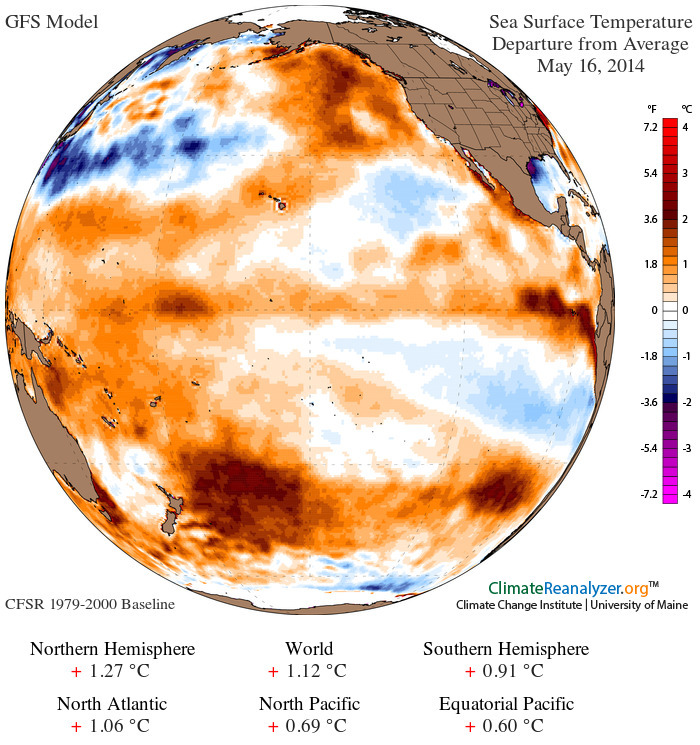 One in the grips of what is already a moderate strength El Nino. An El Nino that, combined with an extraordinary human greenhouse gas heat forcing, has pushed global surface temperatures into record high range for 2014 and the first three months of 2015 thus far. 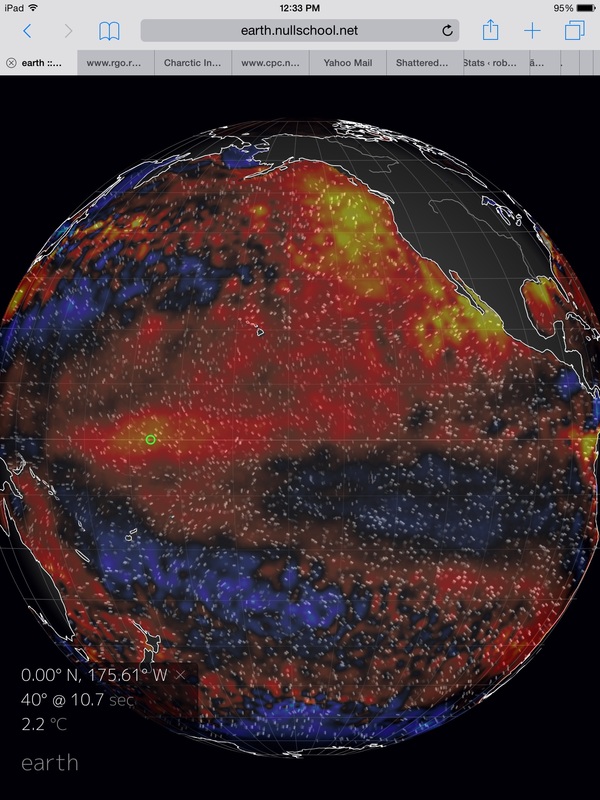 An El Nino which is now threatening a new leap to monster status. 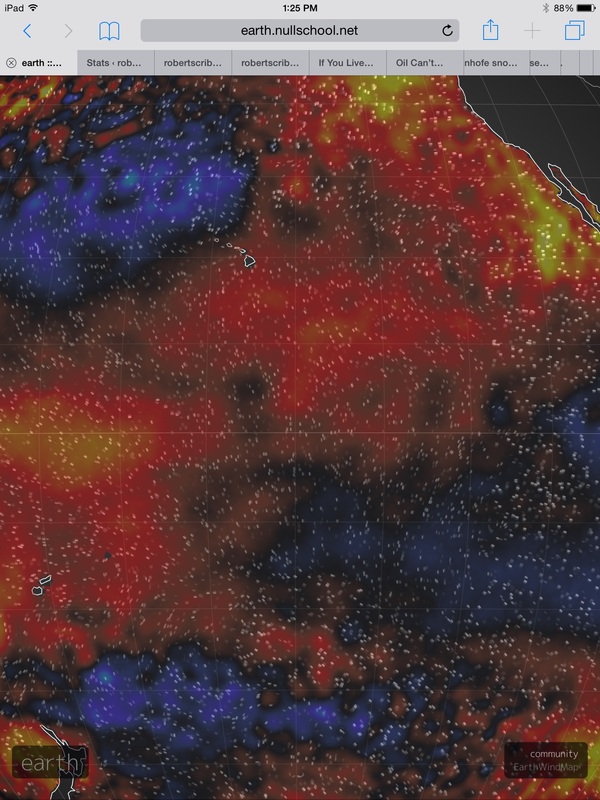 For a powerful Kelvin Wave is presently lending heat to equatorial surface waters after receiving a boost from gale force westerly winds associated with the strongest Madden Julian Oscillation on record this past March. An raging equatorial heat engine that is now drawing yet more energy from a second set of strong westerlies developing this week. In the above GFS summary, we find sustained winds in the range of 30 mph with gale force gusts in a region along and just north of the Equator near New Guinea. The winds are in association with a developing cyclone, one that models indicate will reach strong Typhoon status later this week. 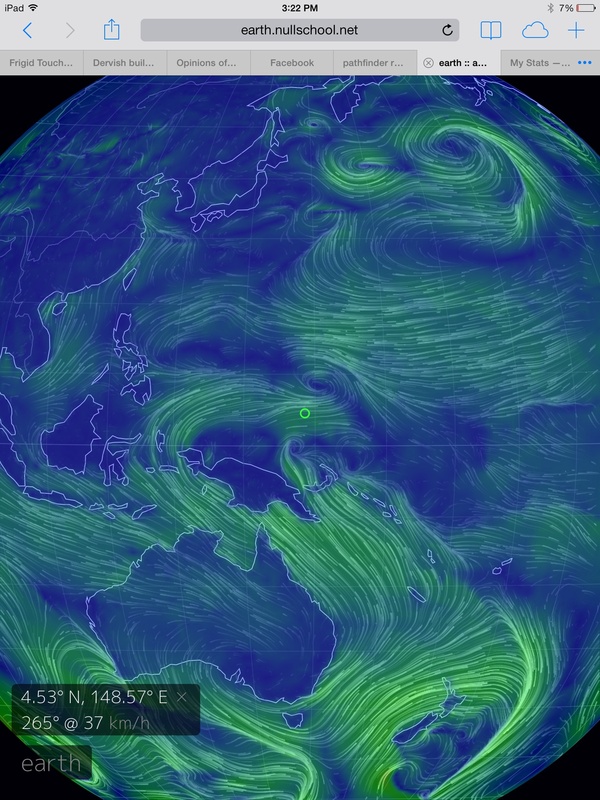 The westerlies stretch westward along the back of New Guinea and on toward the Philippines. 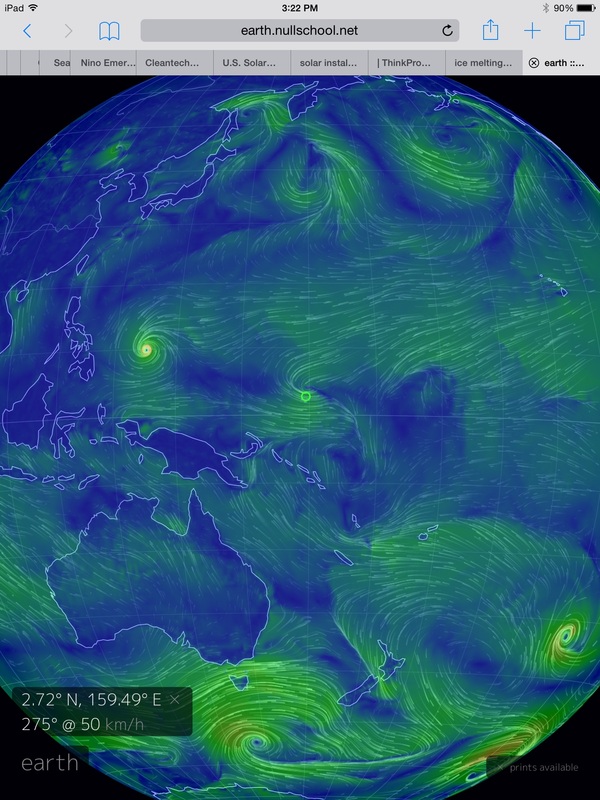 There, they receive a boost from another cyclone — Tropical Storm Noul. The result is a brisk set of westerlies running against the trades along hundreds of miles of open ocean. 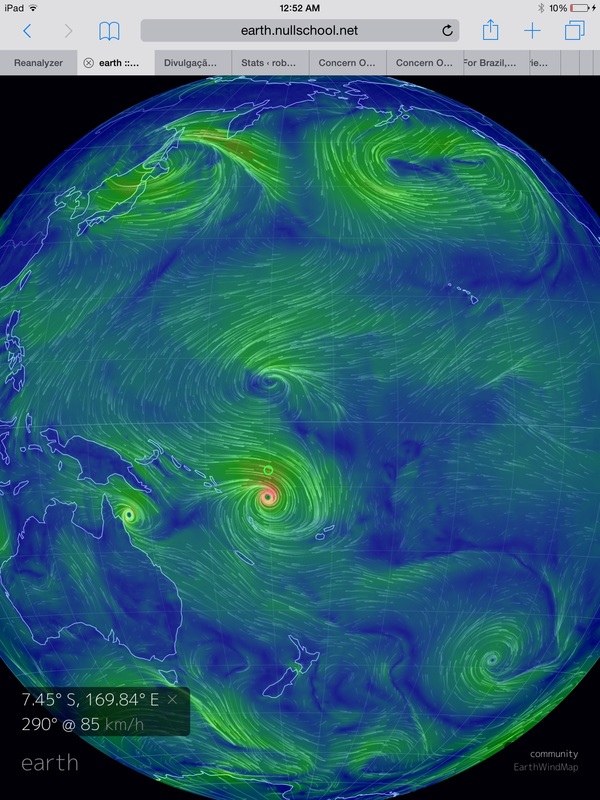 The kind of event with the potential to further strengthen an El Nino that is already at respectable intensity. 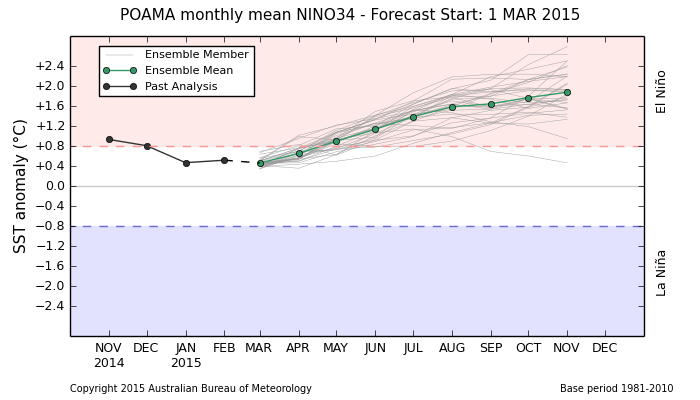 This week’s CFSv2 NOAA forecast models continued to indicate an extreme strength El Nino by later this year. Weighted models are now showing seasonal anomalies in the Nino 3.4 zone peaking out at +2.3 C. Weighted monthly models are showing peaks in the range of +2.5 C above average for Nino 3.4. And unweighted models are showing peak averages that now exceed +3.1 C. This is a jump from last week’s CFSv2 forecast. Another set in a continued trend for higher intensity. Should such an event emerge it would truly be a monster. Something far worse than even the Super El Nino of 1998. 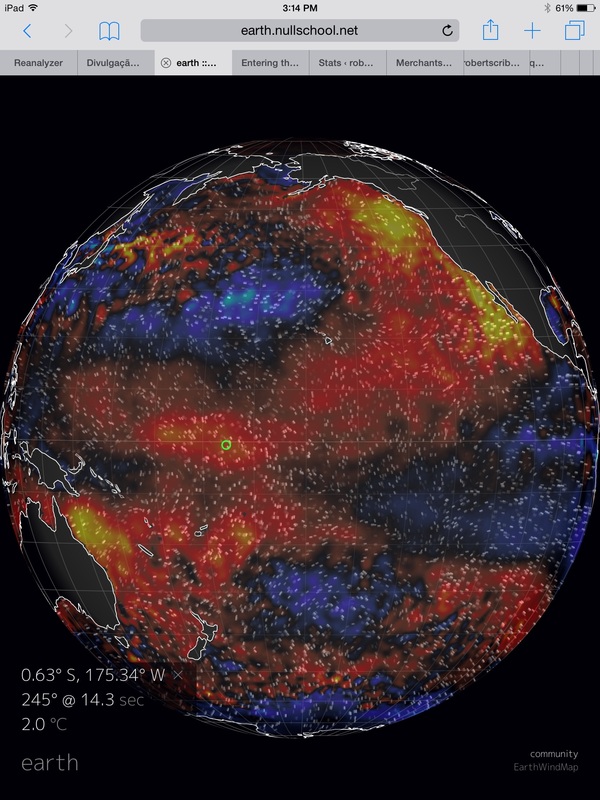 An extraordinary El Nino of this kind would have far-reaching climate and weather related impacts. 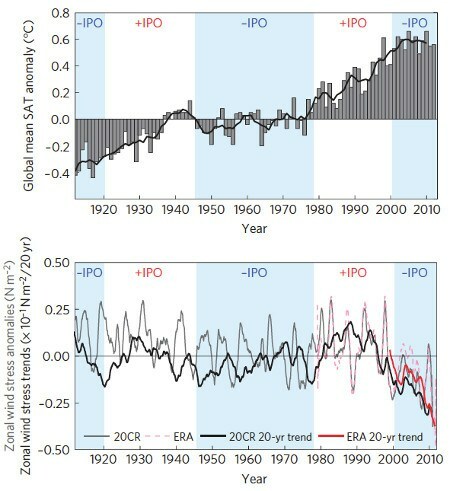 It would push global temperatures into ever more dangerous ranges. It would strain global carbon sinks. And it would worsen drought and/or set off heavy precipitation events in various, already vulnerable regions of the globe. With model forecasts continuing to hit higher values, with so much available heat to fuel El Nino ranging the Pacific, and with strong westerlies continuing to reinforce the current El Nino, this is a situation that bears very serious continued monitoring.